Miley Cyrus just broke the Internet, ya’ll. If you haven’t heard of the 10-year challenge, it’s an Internet game where people show a picture of themselves 10 years ago side-by-side with a current photo so the world can see how much you’ve either changed or remained the same. 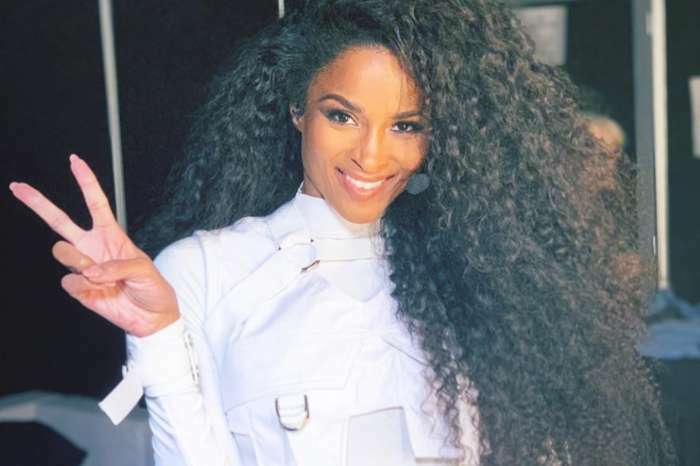 The fad took off at the beginning of 2019, becoming the first viral game of the year and many celebrities weighed in. On Friday, March 29, 2019, Miley Cyrus donned long, blonde locks, played the 10-year challenge as Hannah Montana and won. Miley shared several videos on her Instagram story with her Hannah Montana hair and even sang “Best of Both Worlds” and the Internet went crazy. If Disney wondered whether Hannah Montana was still marketable, they found their answer by Miley’s videos going viral and breaking the Internet. In Miley’s side-by-side comparison photo of Hannah Montana and her 10-year challenge, she captioned the pic with “I Win the 10-Year Challenge” and it appears everyone agrees. Not only was the nostalgic pics a surprise, but Miley stepped back into the character without missing a beat. You can see the picture and videos of Miley Cyrus as Hannah Montana below. To begin with, Miley Cyrus went through a “Hannah Montana” makeover that began with foils and highlights. Miley Cyrus shared a video on Instagram saying that she was bringing Hannah Montana back because she received so much press this week. She certainly has as by early Friday morning, “Hannah Montana” became one of the top trends on Instagram, Twitter, and Facebook. There’s a good chance that throughout Friday, Hannah Montana might become one of Google’s top trends! Hannah Montana is a character that still has a huge fan base and following and many of those fans were beyond excited to see Miley bring her back. In one picture that Miley Cyrus shared, she stated that Hannah Montana has become punk. 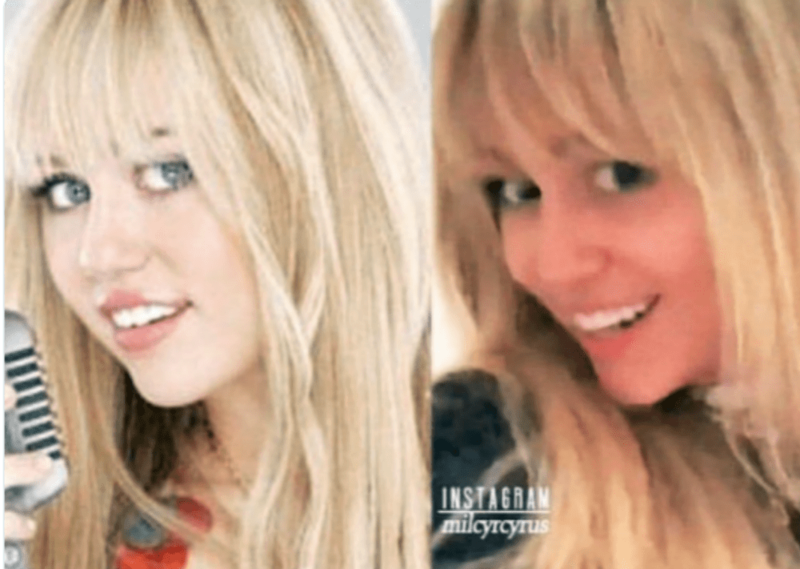 Fans are taking before and after photos of Miley Cyrus as well as Hannah Montana footage to compare with the new IG story. There’s no doubt that fans love seeing Miley Cyrus with the Hannah Montana look. What do you think about Miley Cyrus bringing Hannah Montana back? Do you think she won the 10-year challenge?